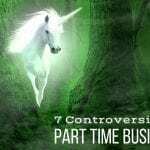 A must-read for Part Time Entrepreneurs! 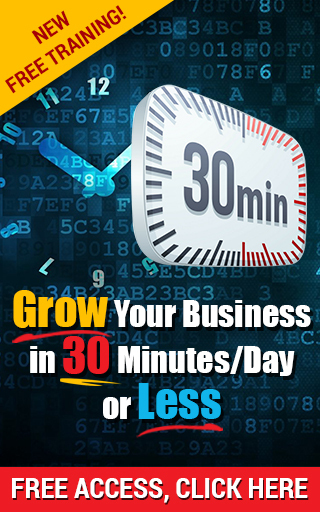 As someone who builds their business with limited time, I read this book with great interest and anticipation. 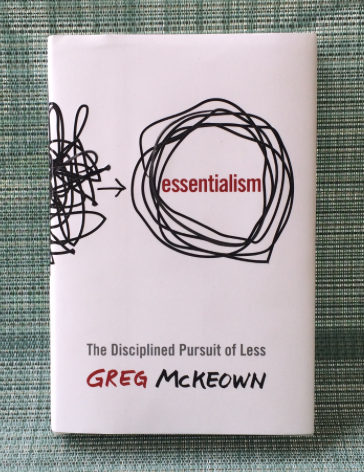 There were so many good and actionable concepts in Essentialism, its hard to pick the best ones. 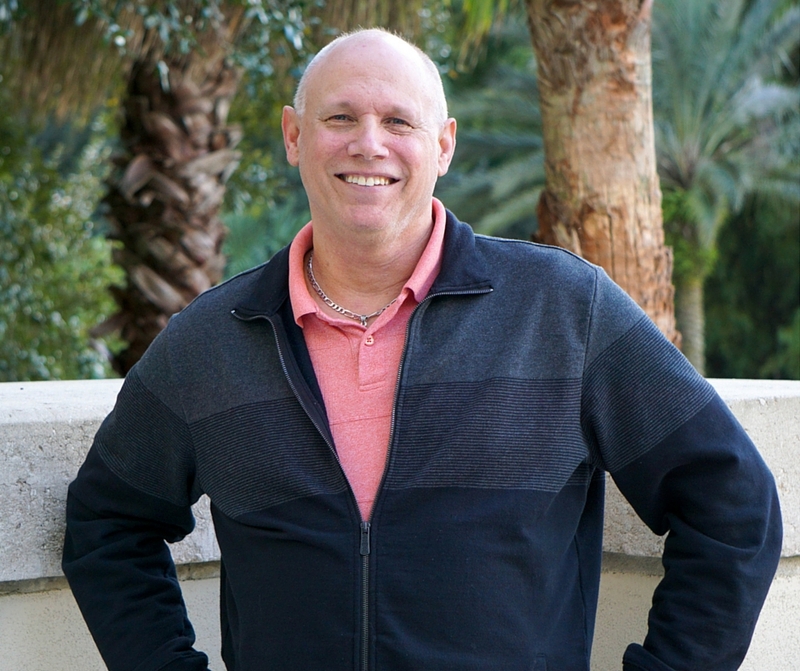 There are so many things we do every day in our business that just aren’t necessary. This concept hit me hard. If you don’t take charge of your own life, you’ll end up helping someone else build their life! 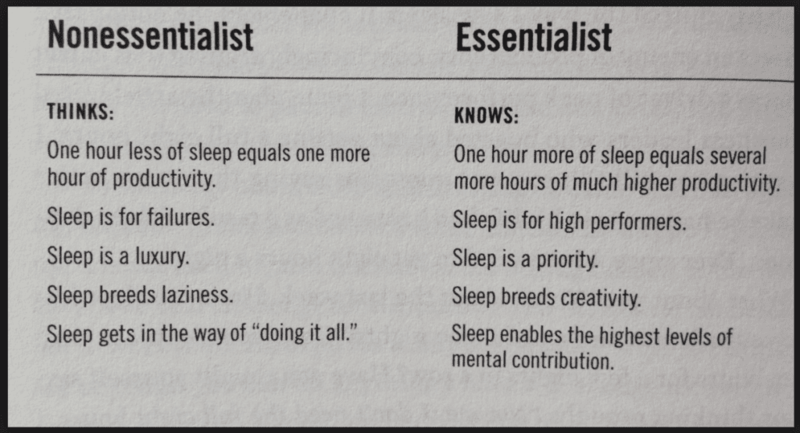 These are some of the basic differences between Essentialists and Non-Essentialists in terms of their belief in sleep. And I ended up totally burned out! I was getting maybe 4-5 hours of sleep a night for over 2 years until my body finally said… ENOUGH! Now, I take the Essentialist view on sleep and am far more productive! Explore: How can we discern the trivial many from the virtual few? Eliminate: How can we cut out the trivial many? Execute: How can we make doing the vital few things almost effortless? The author takes you through the process of transitioning from someone who tries to “do it all” to an essentialist, who only does the most important things in a very orderly way. Each part of the book builds on the last and the final chapters help you focus in on doing the most important things in your life by habit, almost without having to think about it. What Does This Mean To Part Time Marketers? 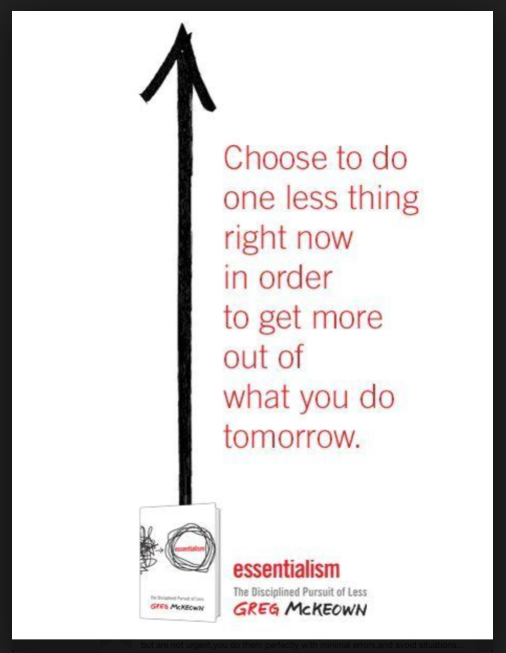 Essentialism is a key concept for Part Timers. One of the biggest things I see that holds us back is a failure to identify and concentrate on those things in our business that TRULY matter. It’s the big reason I take people through a Time Audit in Part Time Abundance, because it forces you to take a hard look at your time and focus on what will give you the most results. And if you’re building your biz with limited time, mastering your time is the biggest hurdle you’ll face. 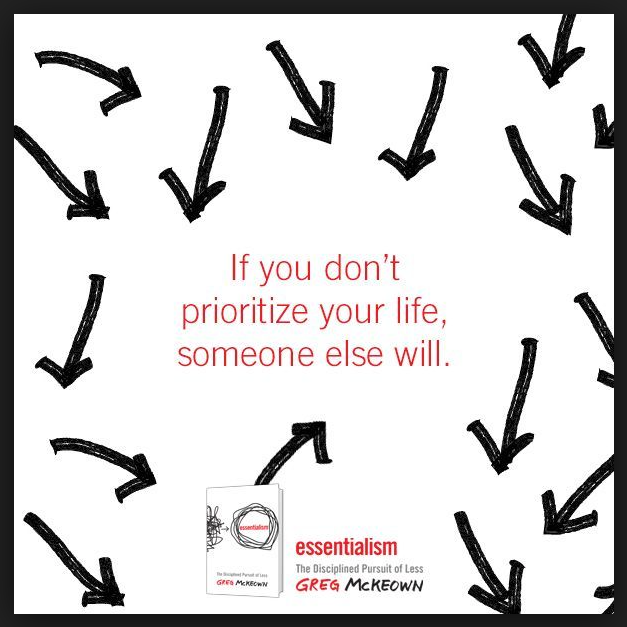 So be sure to grab a copy of Essentialism and make this the next book you read. Got other books in the area of productivity and time mastery that you recommend? P.S. If you’re building your business Part Time and having a tough time, you should watch this video. Be More Productive By Going Small!